Don’t forget that it’s the Christmas Party and Awards Night at Middlesbrough Sports Village on Monday, 10 December. There’s more information in the event flyer. Euan Sanderson qualified to be one of the Teesside District representatives for the CTT National Youth Championship Final (GHS Trophy) for riders from 12 to 16 years. The final which took place on 8 September was run on the B10/3A course which was pretty horrible (a potholed, concrete, busy dual carriageway), but very fast with a strong tailwind on the outward leg and headwind on the return. Euan did a massive PB of 21:00 mins, knocking 2:24 off his previous best. From 110 starters he was 22nd overall and 6th 15-year-old. A great result Euan! The event was won by Josh Charlton of Hetton Hawks in 19:31 – the top three riders all did sub 20:00 breaking the Championship record. Comments Off on Well done Euan! Over the summer, CWCC in association with British Cycling are holding a series of four fun and competitive events aimed at youth cycle skills and racing. The events will be held at Middlesbrough Sports Village. There’s more information in this poster. Don’t forget that the Youth Training session on Monday, 9 April 2018 will have an Easter theme. There’s more information in the event poster. British Cycling North East are organising a series of coaching camps aimed at young riders during the Easter holidays. 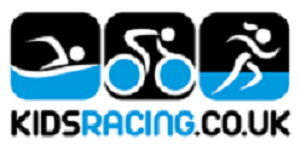 If you’re interested then there’s more information on the British Cycling Website here.